A website is a necessity for all small businesses. Regardless of the other marketing methods you decide on, enabling your customers to find you through Google or by searching your company name is a key part of nurturing and developing your customer list. If you are wanting to sell products online the reason for having a website is obvious, but even for those not looking to sell over the internet a website shouldn't be overlooked. Done correctly, a website can act as an extension of your business, acting as your online business card which provides all the important information about your services. A slick, reliable website will build credibility with potential customers and may even sway their decision when comparing you to your competitors. A common reason business owners delay setting up a website is the incorrect assumption that it will be a costly and complicated process. However creating a website for your business may be easier and cheaper than you think. Here's four simple steps to get the ball rolling. Setting up a domain is simple. Once you have your desired URL (or a few in case your first choice is taken!) all you need to do is head to a domain registration company website such as GoDaddy.com, among many others, and enter your domain into the search box. You will see which Top Level Domains (TLDs) are available; .org, .com, etc. and how much they cost. Once you have selected your desired domain and paid the fee it can take a couple of days for the domain to become active. Confused about how to pick a domain? You can read more about choosing a domain name in this post. A common reason that potential customers may leave your website is because they cannot find what they are looking for. A clear, user-friendly menu structure will help towards decreasing your bounce rate. Another reason to decide on your menu structure is to see the size your website needs to be, which can be helpful when talking to your potential web designers. Start by taking a piece of paper and writing down all the pages you will need; Homepage, Contact Us, About Us, FAQ, etc. If you want to sell products online it can be an idea to write the number of products you have and the number of categories, e.g. if you sell phones your categories may be Apple, Nokia and Samsung and your products. If possible think about your menu structure and sub-pages. Consider the customer and what will make sense to them when navigating through your website. If you already have your business it is likely that you will already have a logo in place. If not, you will need to sort this out before launching your website. 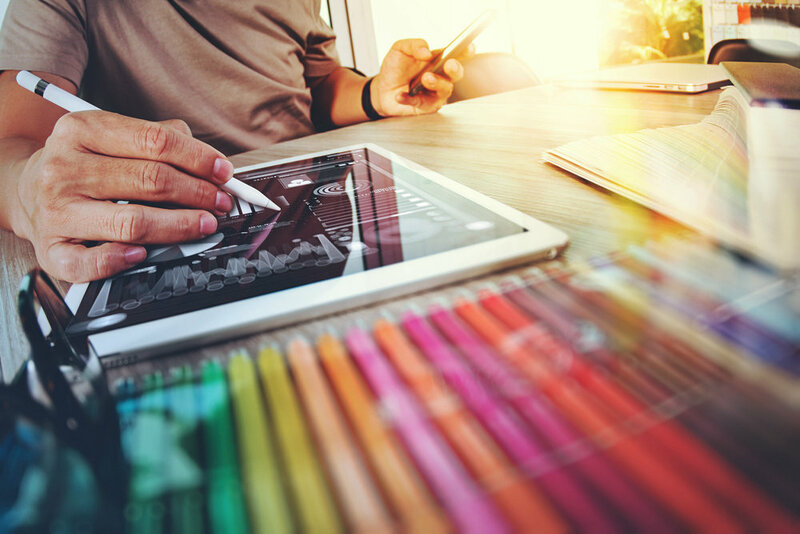 Some web design companies will be able to offer graphic design services alongside their web design so it might be worthwhile to see if they will be able to do both. Regardless of who you choose to design your logo you will need to come up with some ideas of what you want your logo to look like. A good starting point is to look at your competitors to see if there are particular industry standards that could help, e.g. dental websites tend to go for a clinical blue and white. Once you have the first three steps in place you can give your ideas to your web designer. Many will be able to provide stock images, or even provide further assistance such as content or social media setup. Once the design is finalized it is just a matter of setting the site live. If you are looking for a web designer to help build a custom website for your business then Kommand website builder can help. We offer all of the features above in our custom designs. 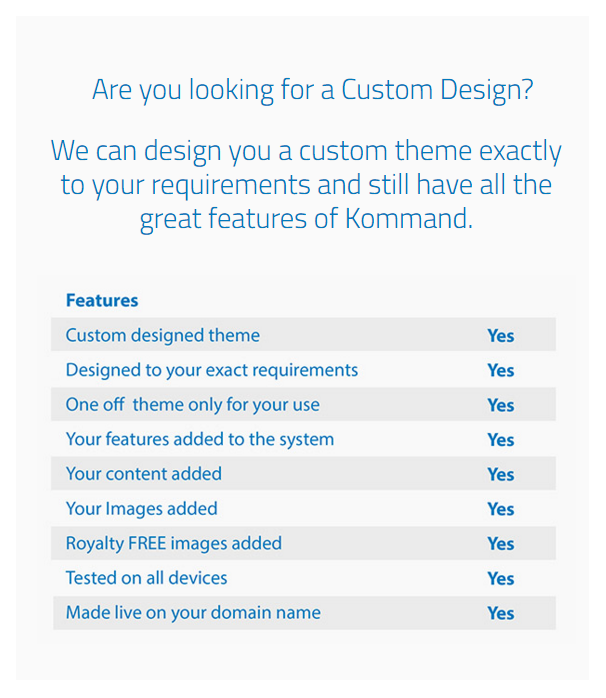 - YOU CAN ALSO CHECK OUT THIS POST TO SEE SOME RECENT WEBSITES BUILT WITH KOMMAND.